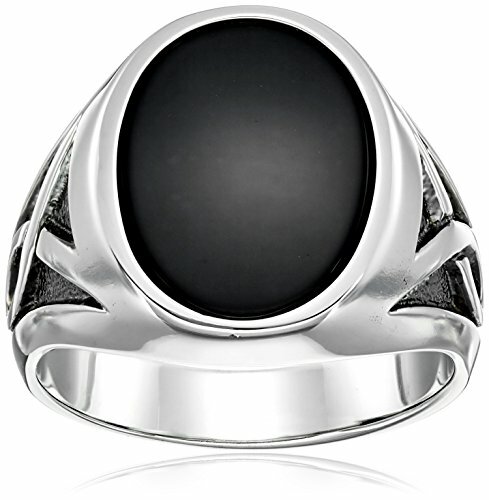 Men's Solid Sterling Silver Onyx Ring with Black Rhodium Infinity Detail Ring, Size 11 | What Should I Say? Free Shipping Included! Men's Solid Sterling Silver Onyx Ring with Black Rhodium Infinity Detail Ring, Size 11 by Amazon Collection at What Should I Say?. MPN: 84493XXX8X-11. Hurry! Limited time offer. Offer valid only while supplies last.